A program that eases transitions from nursing homes may face deep funding cuts. CHICAGO — A national initiative to help patients leave nursing homes and regain their independence — a program that has saved taxpayers hundreds of millions of dollars — could face deep cuts under the Republican health care proposals being debated in Congress. The Money Follows the Person program, which uses both federal and state Medicaid dollars, helps patients who are leaving nursing homes buy their own furniture and pay the security deposit on an apartment. It even covers an initial trip to the grocery store. The grants also cover visits from home health aides so patients with ongoing medical needs can get care. And they support life skills training through courses like Stepping Stones, here in Chicago, which teaches students to use public computers to look for jobs and helps them set up e-mail accounts, in some cases for the first time in their lives. Jimmy Yarbrough, who is 55, is one of the group’s success stories. Ten years ago, he was discharged from a hospital to a nursing home after a series of abdominal and spine surgeries. Unable to walk, much less resume the type of factory and dock work he’d previously done, Yarbrough initially saw round-the-clock care as a blessing. But after four years there — with no one offering a plan, prospect, or prayer for him to move out — he says living in the institutional setting became a curse. “I was just sitting around there every day keeping some of the older people company,” he said. Another resident finally pointed him toward Stepping Stones, which is run by a nonprofit called Access Living. Three-and-a-half months later, Yarbrough was out of the nursing home and beginning a new life in his own apartment in his old neighborhood on Chicago’s West Side. He still uses a wheelchair, so the program provides personal assistants who help him with cleaning, cooking, and shopping. It’s exactly that kind of home-based care that could be first in line for cuts if the Republican plans pass, policy analysts say. The bills make substantial cuts to Medicaid as part of an effort to rein in federal spending and prod more people to seek private insurance. States are required to cover nursing home care through Medicaid, but services to help patients transition to independent living are optional. So if future funding is slashed, “the home- and community-based services sector is the biggest pot of money in terms of optional services they can cut,” said Jessica Schubel, a senior policy analyst at the Center on Budget and Policy Priorities, a left-leaning think tank in Washington, D.C. Advocates for independent living say that such cuts could cause real harm to people with disabilities. “If Medicaid is cut or capped, we know that home- and community-based services will be the first to go, and that will leave many, many people with disabilities unable to live in the community. 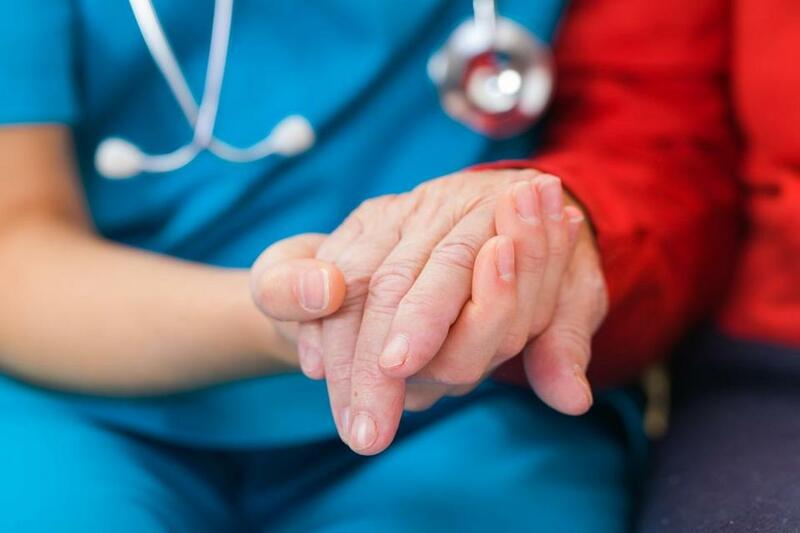 It will force us back into nursing homes,” said Cara Liebowitz, who was among a group of advocates at a recent protest outside Senate majority leader Mitch McConnell’s office. The National Council on Independent Living, where Liebowitz works as a development coordinator, plans to march to Capitol Hill later this month to lobby against Medicaid cuts. Though nursing homes are often perceived as the last stop for the frail and elderly, they also care for younger patients who come in for rehab following hospitalization but may end up staying there for years. Even after recovery, some have disabilities that make it tough to earn a living, or need some help with day-to-day activities such as dressing and bathing. And it’s all but impossible for them to save toward their own apartment: Those entitled to Social Security or disability benefits are often required to sign over most of their checks to help pay for their care. The result: Many feel trapped in the nursing home. “You’re told what to eat and how to eat and when to eat, when to bathe, when to sleep, and when to wake,” said Brian Szuda, executive director of the Illinois Valley Center for Independent Living, which serves five counties in central Illinois. Launched in 2007, the Money Follows the Person initiative has distributed $4 billion over the past decade to help agencies in 43 states and D.C. test alternatives to institutionalization. Federal grants cover all home- and community-based services for the first year following a patient’s transition. Then state Medicaid funding takes over. Even if a patient needs regular visits from health aides, the cost is often far less than a nursing home would charge. A report published this spring by Mathematica Policy Research, which has a federal contract to evaluate the program, found it saved taxpayers $978 million in just its first six years, through 2013. Through the end of 2015, the program had moved more than 63,000 longtime nursing home residents into independent living. And independent researchers in some states have reported improved well-being among participants. The University of Connecticut Center on Aging, for example, found less depression among participants who moved from institutions to independent living. Among those who had been on their own for two years, 80 percent reported being happy — compared with 32 percent of those living in an institutional setting. Back in Chicago, Yarbrough has enjoyed entertaining friends at home and working as a part-time security officer for Access Living, the nonprofit that helped him move into his own apartment.